These guys here were not born in the 1970’s. But they are curious of Gangnam in the 1970’s. What about the scenery of Gangnam? 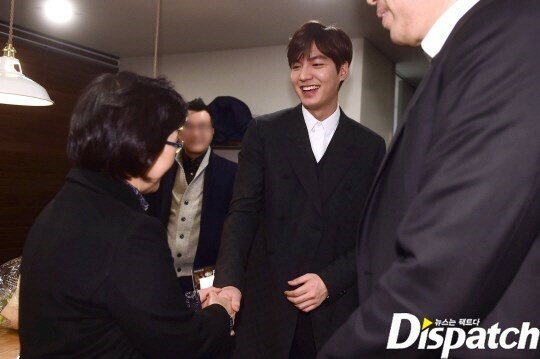 and Lee Min Ho in the 1970’s. Did you expect for this charisma? 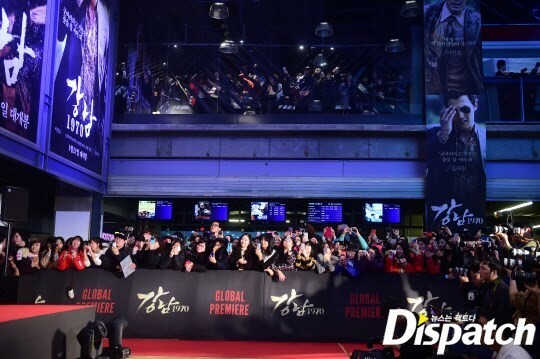 This here is the scene of film ‘Gangnam 1970’ VIP preview and the red carpet. and ‘Korean Wave princess’ Park Shin Hye, too. 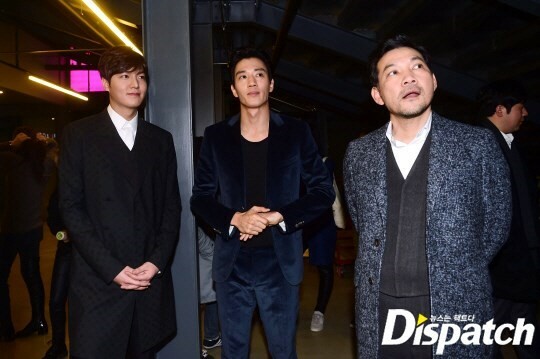 ‘The new emperor among 4 emperors’, Kim Woo Bin also came. The participant list of the VIP preview was almost like an awards ceremony list. But where was the main character of this day? 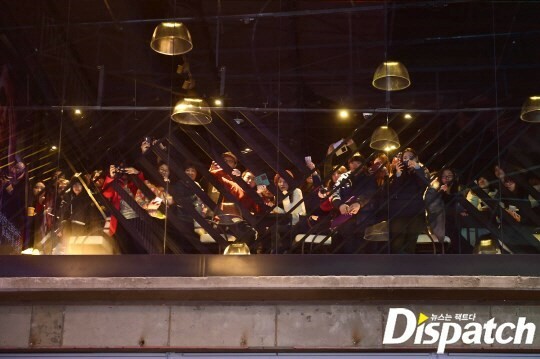 ‘STARCAST’ will release the behind-the-scenes story which you may not even see at ‘Go! Video Trip’. 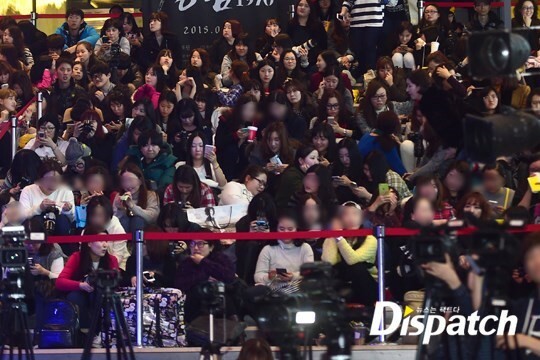 This is 30 minutes before the red carpet event. 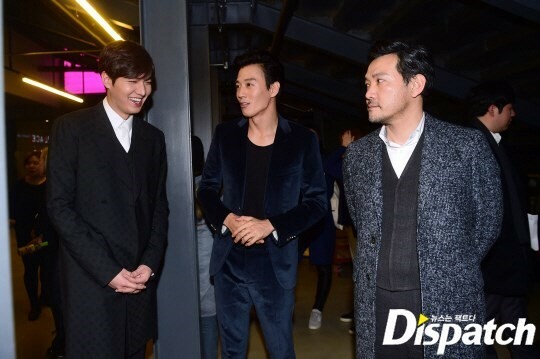 Lee Min Ho and Jung Jin Young got immersed into talking. Both appear as a father-son relationship in the film. They were full of affection not only in the film, but also in reality too. This was the day before the film release. 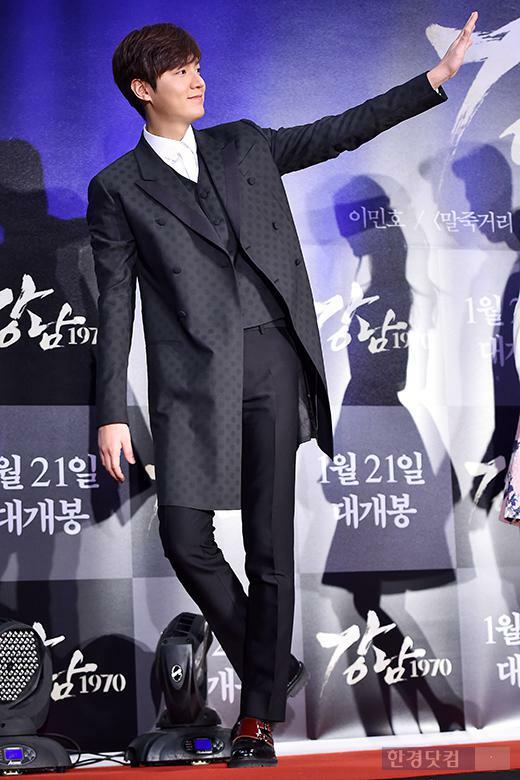 ‘Gangnam 1970’ is at the top spot in reservation rate, winning ‘Ode to My Father’. 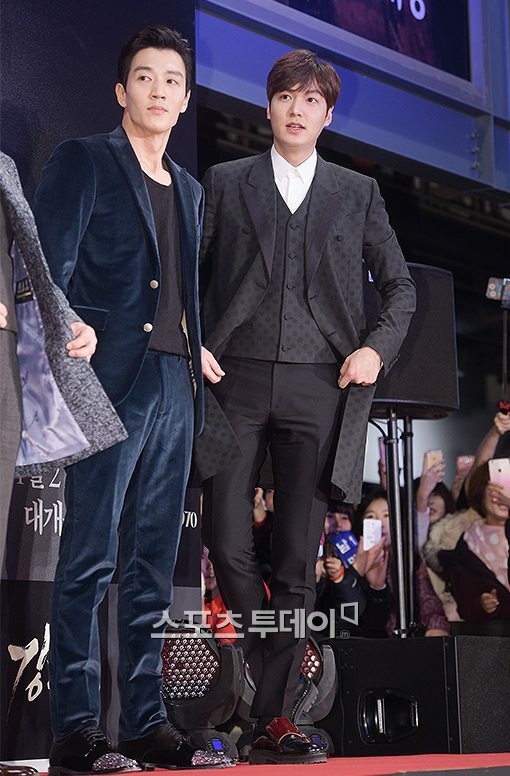 Both seemed happy for receiving attention from the audiences. 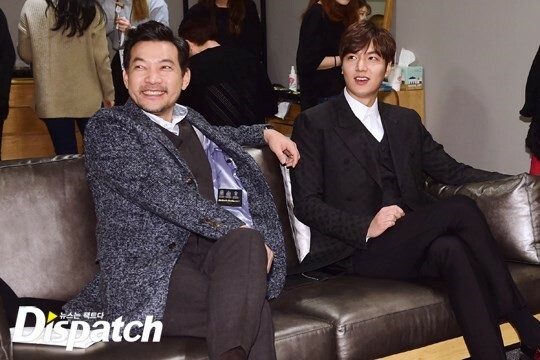 However, ‘being relaxed’ was a ‘luxury’ for Lee Min Ho. 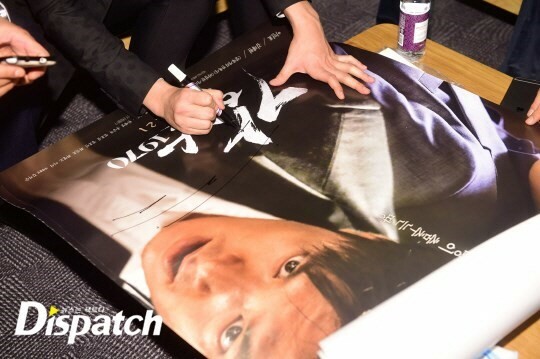 His hands got busy without having time to rest due to autograph-complaints. Line to get his autograph was formed even inside the waiting room. When the instant autograph event was over, there was another visitor that had come secretly. She was Shin Yeon Hee, the head of Gangnam-gu Office. 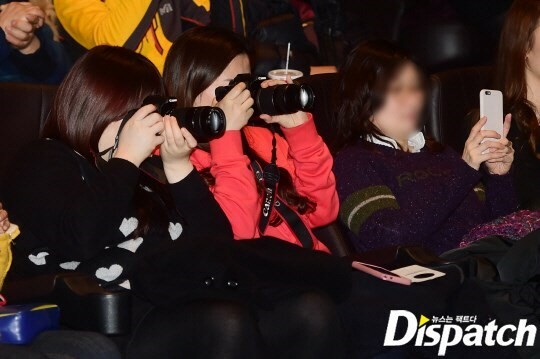 She visited the place since she got curious about the film that had the background at Gangnam. However, love (fan’s love?) toward ‘Gangnam’ was felt at the handshakes between them. Changing the subject, it’s 10 minutes before the red carpet event. 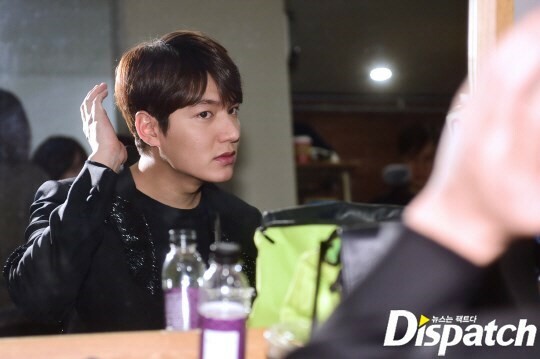 Lee Min Ho started to prepare for appearing in front of fans. First, he checked his appearance. He checked his hair and makeup. 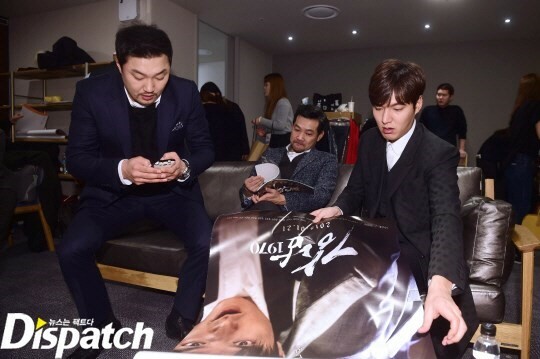 Wow, even Lee Min Ho makes an effort…. but what about us? This is a minute before the red carpet event. 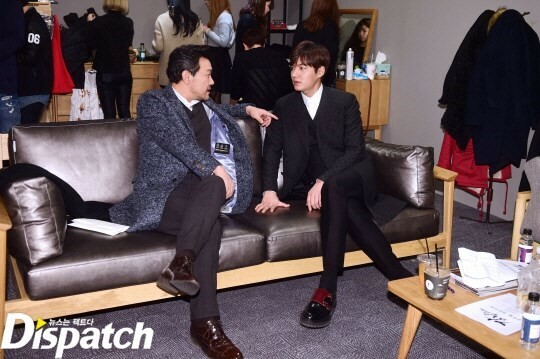 Lee Min Ho, Jung Jin Young, and Kim Rae Won left the waiting room together. 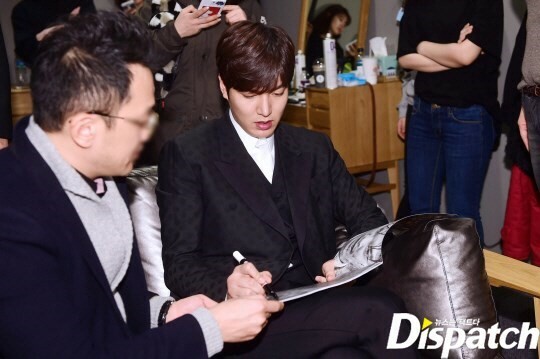 Where has the image of Lee Min Ho at the waiting room gone? His face was full of tension. However, he was fortunate since senior actors were there. 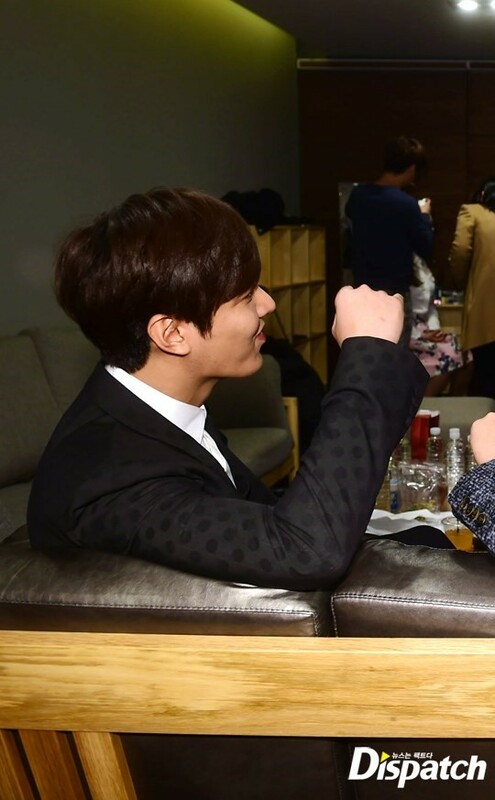 Jung Jin Young and Kim Rae Won encouraged him. 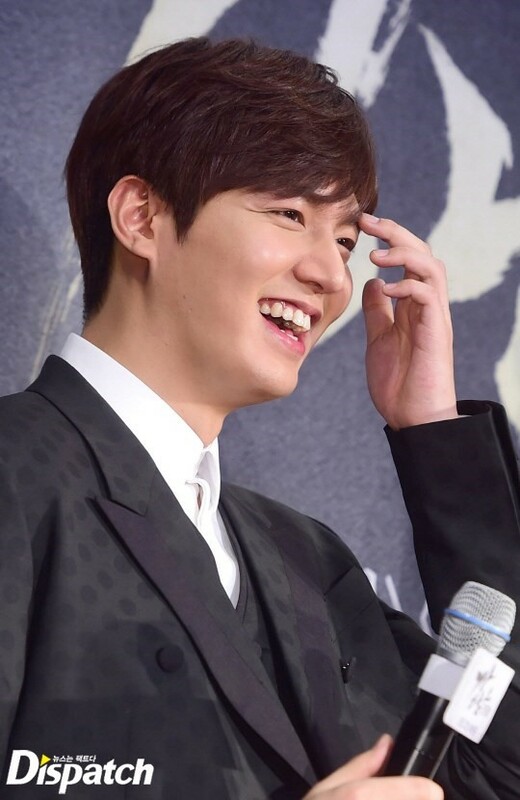 They told jokes to make him relieve his tension which made Lee Min Ho confident. 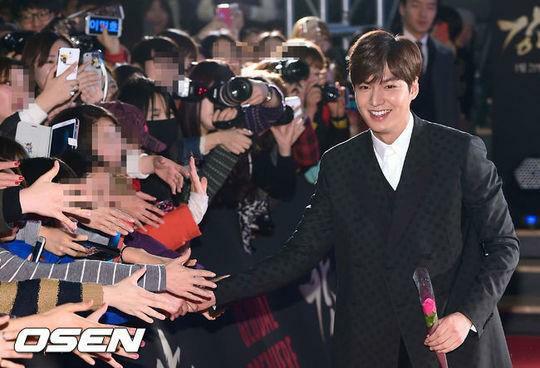 Finally, Lee Min Ho stood upon the red carpet. Camera flashes popped here and there. Tremendous roars burst more. Maybe this is the dignity of a Korean Wave star. 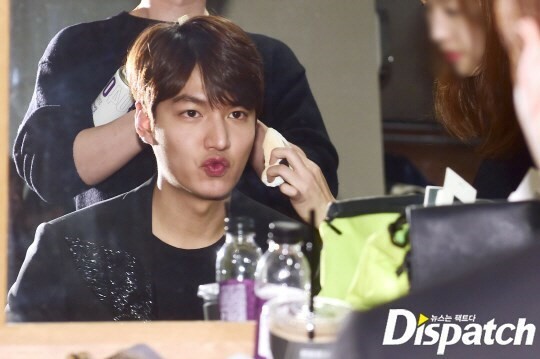 Lee Min Ho was strong on practice. He was good at fan service. He held and shook hands, and gave a smile. The first ever heat in history. That is how the red carpet event finished. 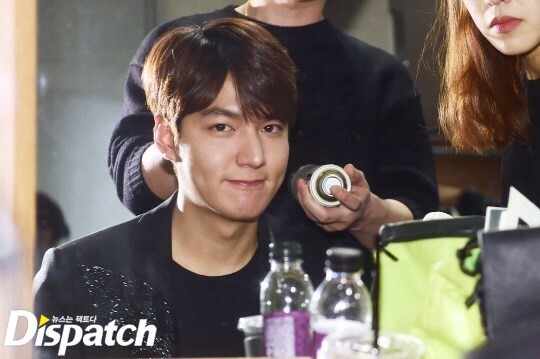 Lee Min Ho’s face got brightened again. His returning steps became light. 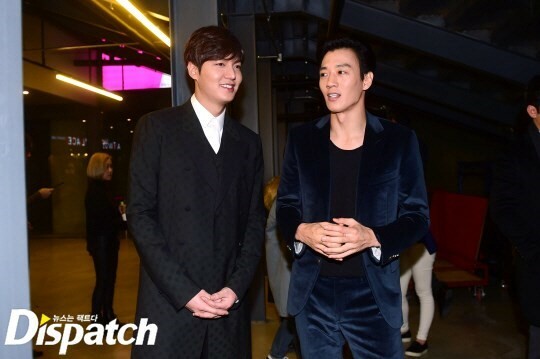 He got pleased with Kim Rae Won’s compliment most of all. Did his schedule finish like that? There are 13 pictures of him conveying gratitude to audiences that visited a theatre. 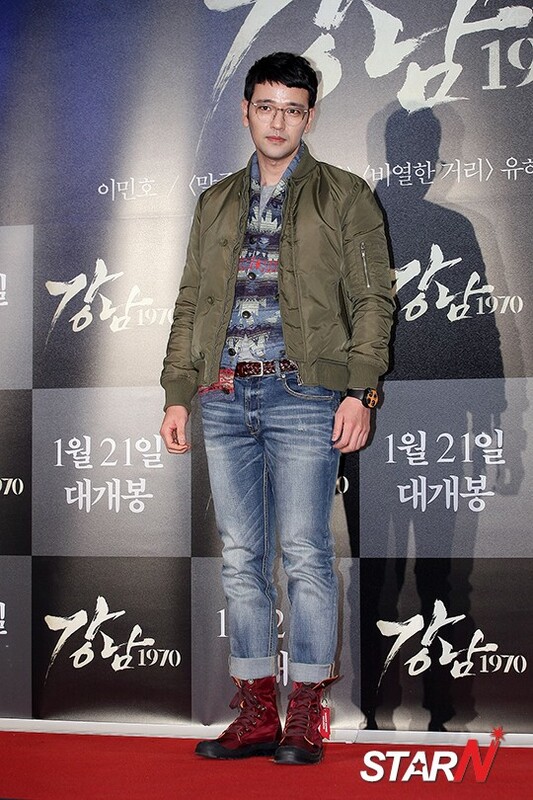 He prepared tens of outfits only for this day since he wanted to show various images of him in spite of the short time. 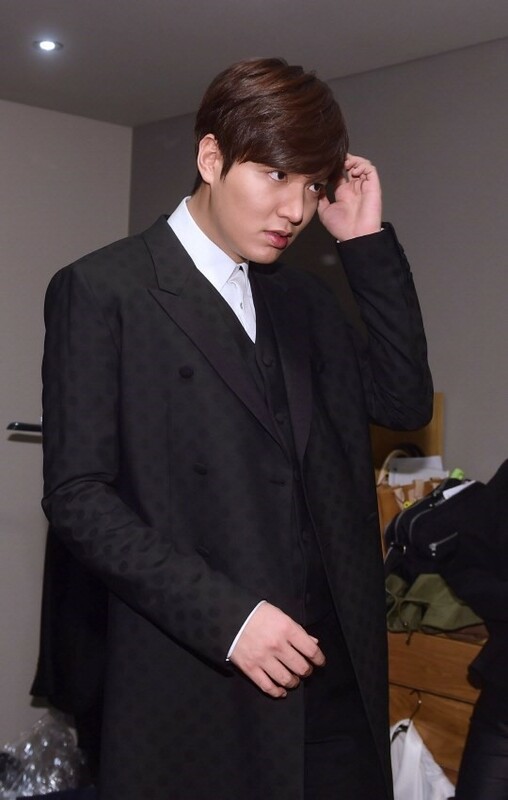 Lee Min Ho chose a new outfit with hawkish eye and started to dress up again. Wait a moment! The below picture is him just looking in the mirror. This is him on the way to ‘give greetings on stage’. He’s curious about audiences’ responses toward the film. First, the mood was best than ever. The heat inside the theatre was like the mood at the red carpet. 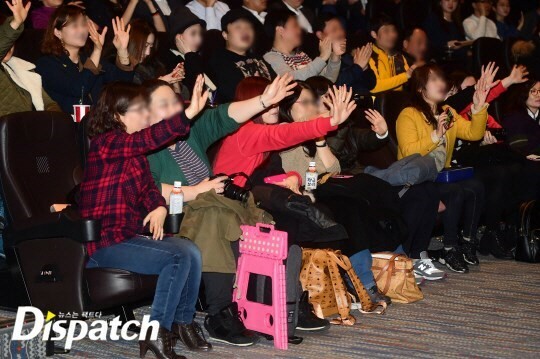 It seemed that audiences didn’t get satisfied with just seeing him at the screen. They were all busy taking photos of him. Yes, yes! We should look forward to it, right? If you’re still curious of the film, please refer to the ‘piece’ interview. We gathered pieces of his conversations that were shared at the waiting room, red carpet, and stage greeting. First, we asked about his thoughts on the release of the film. Since ‘Gangnam 1970’ is a film made after investing more than a year, isn’t your affection extraordinary toward it since you put much effort? 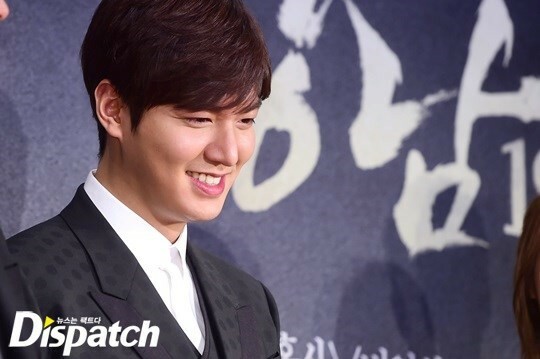 ‘Gangnam 1970’ is a film in which Lee Min Ho appears as a leading role for the first time. 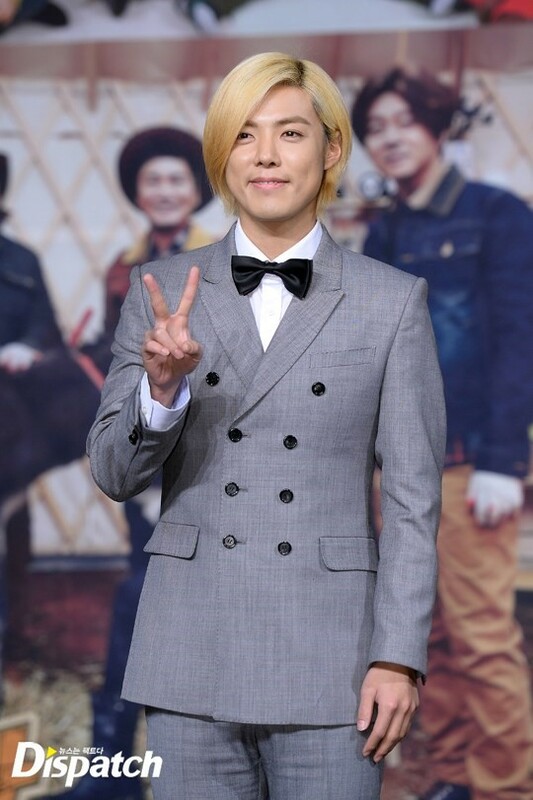 It was a new challenge for him who only appeared in TV programs. Thus, expectation and pressure existed at the same time. He said there was something he wants to achieve through this film. Also, he said that he wishes to achieve this too. 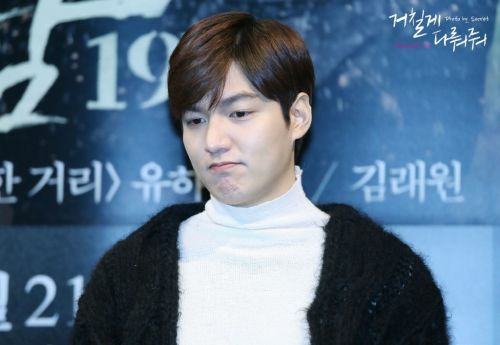 It is because Lee Min Ho tried a big transformation. He showed various images such as being a ‘junk dealer’ and even a ‘real guy’. 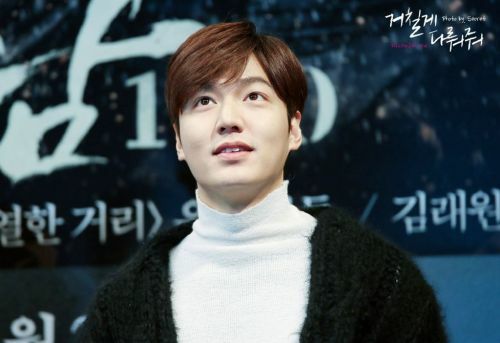 The great senior actor, Jung Jin Young also acknowledged Lee Min Ho’s endless transformation. 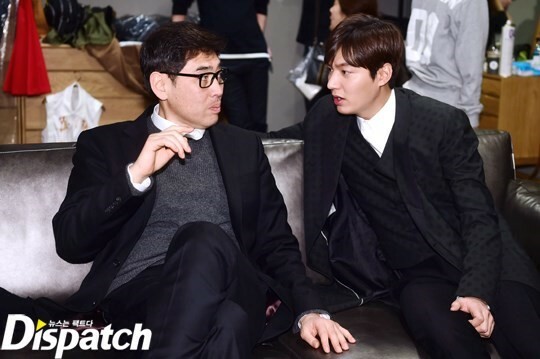 He even mentioned Lee Min Ho as the point we should focus on. 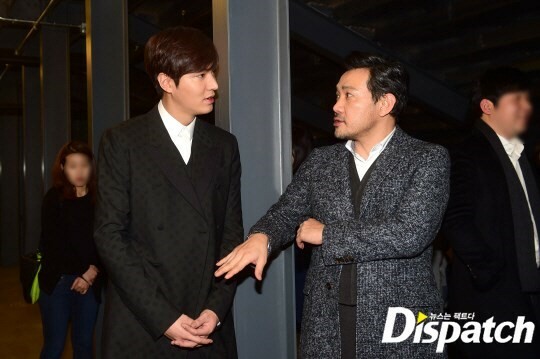 Director Yoo Ha also agreed. 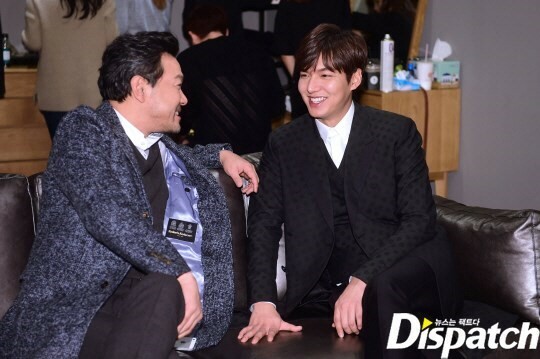 He added that he was so happy to work with Lee Min Ho. 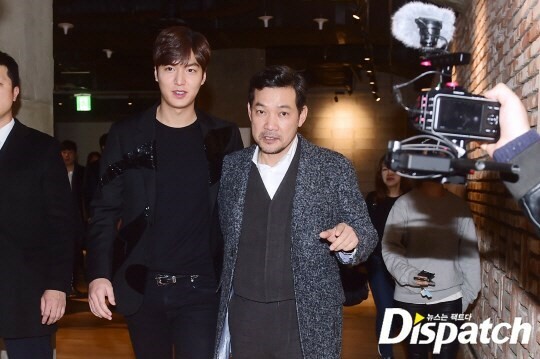 ▶ This was the behind-the-scenes story of Lee Min Ho’s VIP preview until now. What about bonus-cuts? He was a real man in the film and a cutie in reality. 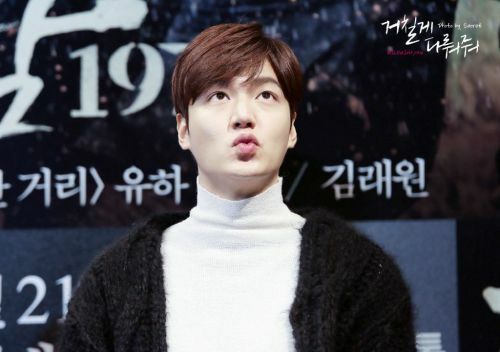 Lee Min Ho’s cute parades are released. 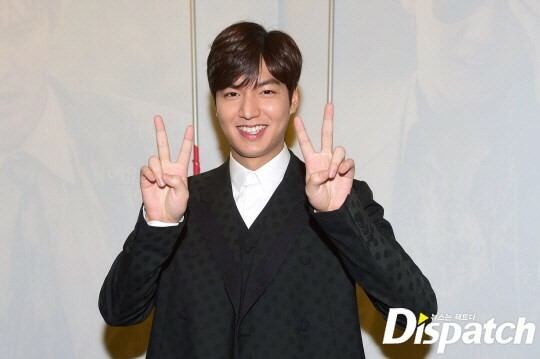 During a recent interview, actor Lee Min Ho touched on the topics of dating and relationships. 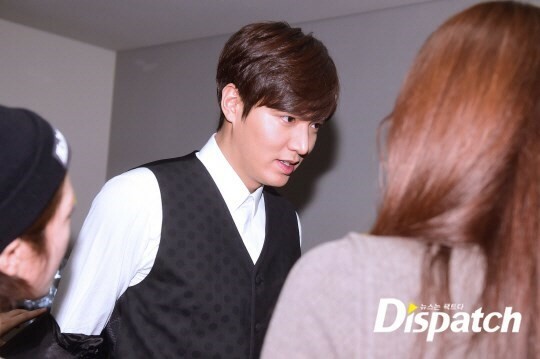 When asked if dating might be a way for him to relieve stress in his life, the actor responded, “That’s true. Liking someone and having fluttering emotions could be a way to naturally relieve stress that comes from hard and tiring work. I would just like to have a one-sided love,” as he laughed. Do you agree with the actor’s statements? 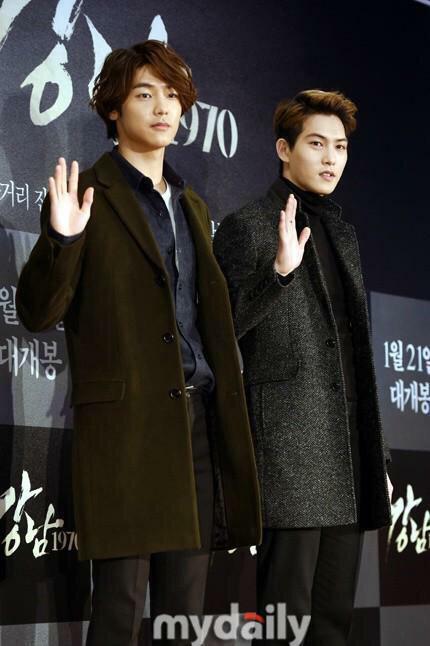 The cast of Gangnam 1970 made bold official promises. 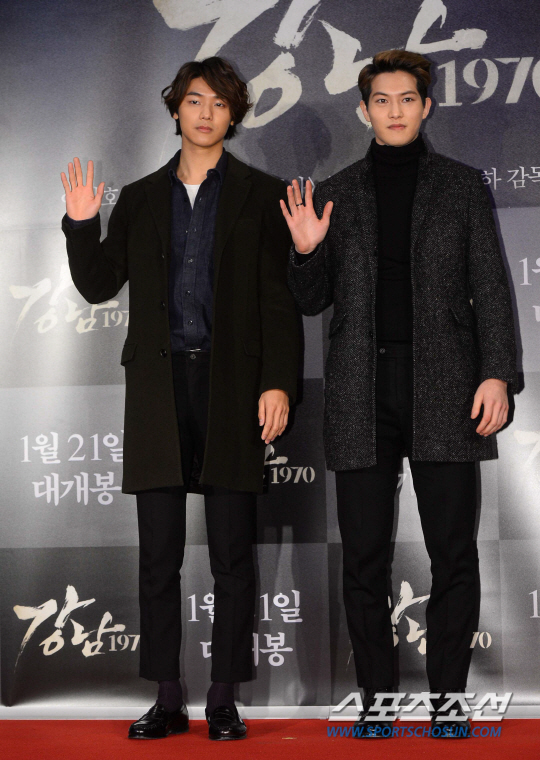 Gangnam 1970 launched the global premiere screening event on January 20 at the Megabox theater in COEX, gathering great response from the audience. 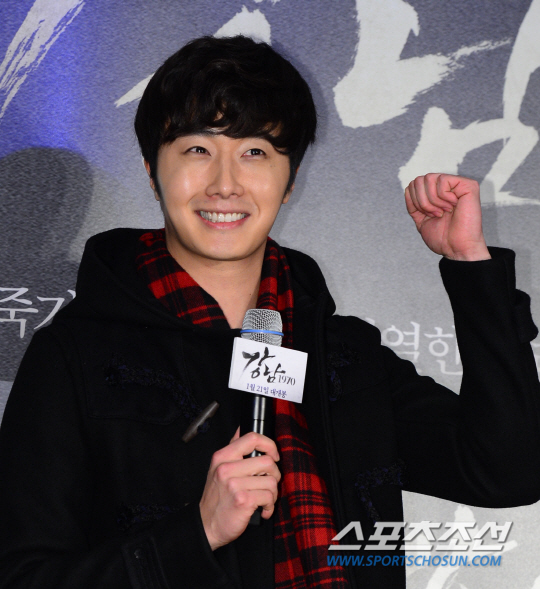 The global premiere took place in the form of a counter-junket attended by reporters from 13 countries that have purchased or confirmed the film′s premiere. 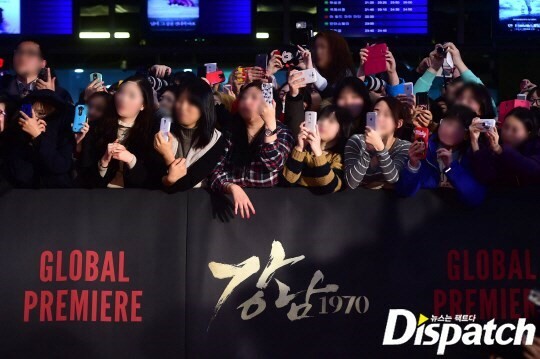 For the first time for a Korean film, the reporters from foreign media outlets visited Korea to carry out interviews, increasing anticipation for the global premiere of Gangnam 1970. 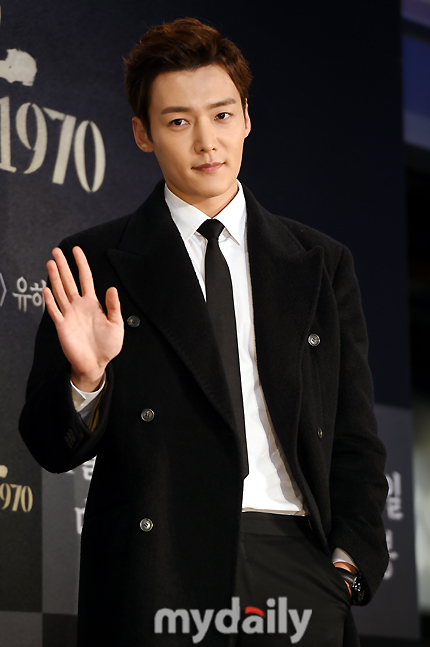 The main and supporting cast members of Gangnam 1970, including Lee Min Ho, Kim Rae Won, Jung Jin Young, AOA’s Seolhyun, Lee Yeon Du, Han Jae Young, Yoo Seung Mok, Um Hyo Seop, Jung Ho Bin, Choi Jin Ho, Heo Sung Min, Kim Yoo Yeon and director Yoo Ha thanked the audience members through the stage greeting. 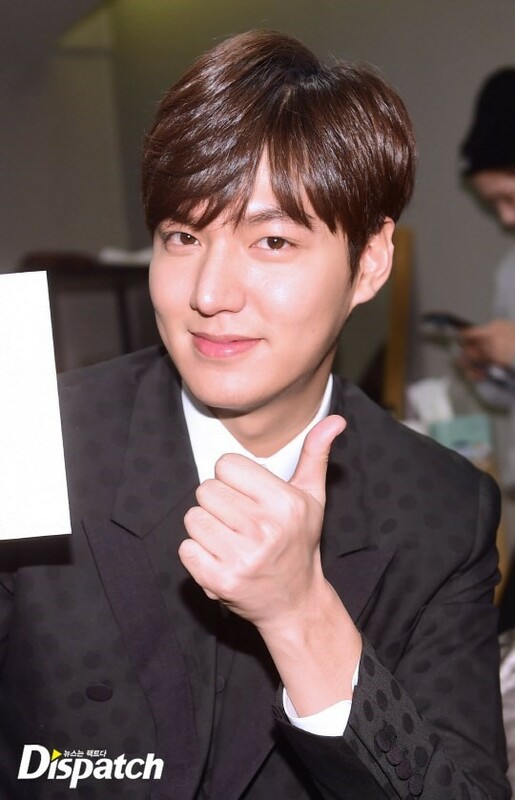 About the official promise, Lee Min Ho stated, “I would like to change my official promise since I don’t have a driver’s license for motorcycles. 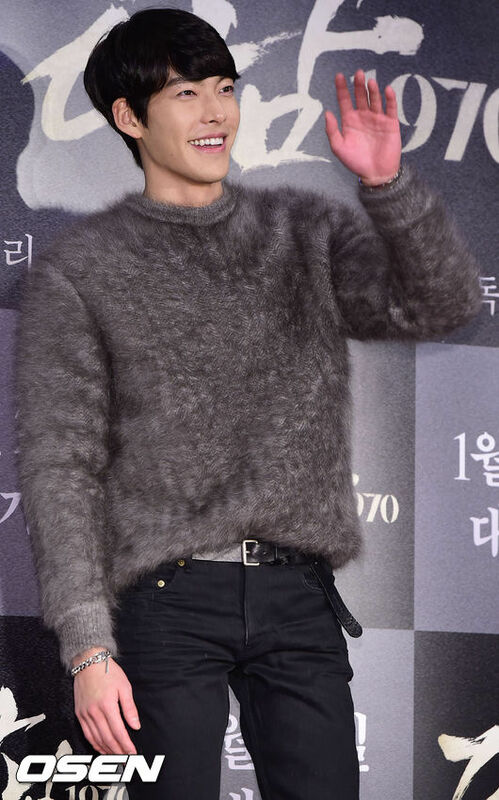 If the movie hits five million, I will select 500 audience members and pick up trash in Gangnam along with the director,” bringing out a round of applause from the audience. 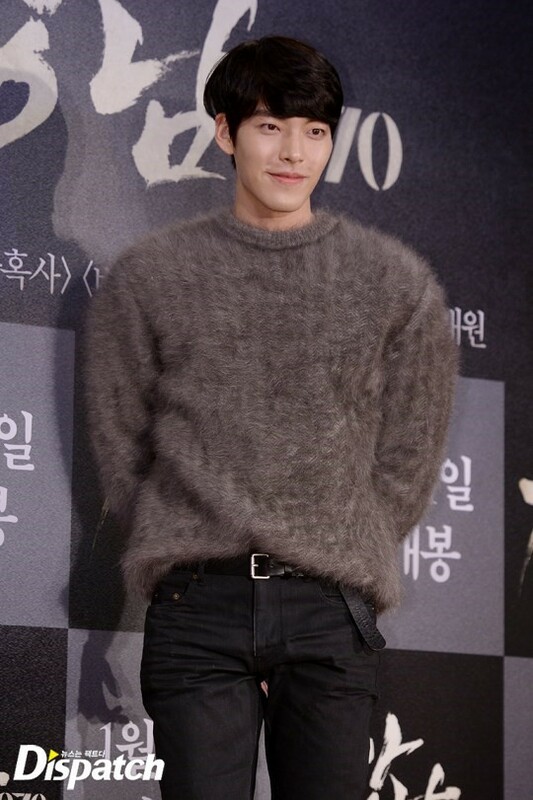 The global premiere event was attended by numerous Korean celebrities, including Kim Woo Bin, Kim Hee Sun, miss A’s Suzy, Park Bo Young, Ahn Jae Hyeon, Lee Jia, Park Kyung Rim, Kim Bum, Jung Il Woo, Ji Jin Hee, Choi Jin Hyuk, Choi Jung Won, Jo Sung Ha, Kim Hye Sun, Kim Min Seo, Choi Tae Jun, Im Ju Hwan, Oh Ju Wan, CN Bue’s Lee Jong Hyun and Kang Min Hyuk, G.Na, AOA, Bae Soo Bin, Kim Ji Hoon, Hong Seung Jin, Royal Pirates, Ju Da Young, Han Da Eun and more. A number of foreign celebrities also graced the event, including the Chinese star couple Julian Cheung and Anita Yuen. 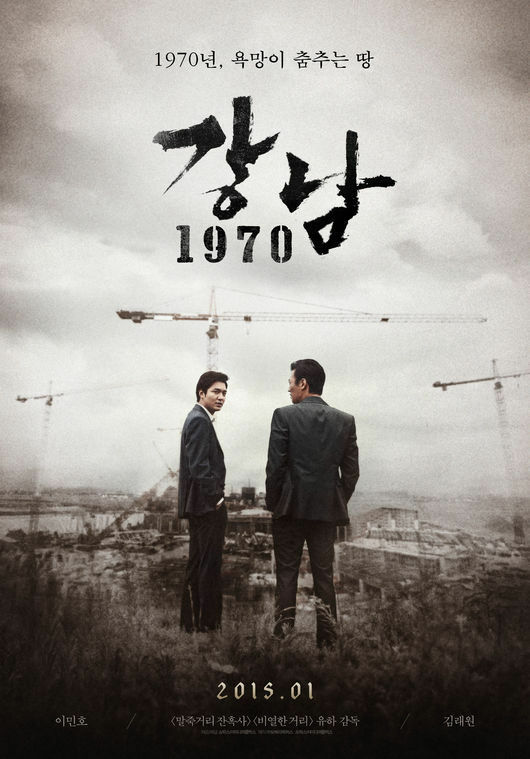 Gangnam 1970 depicting the story of two men’s desire, friendship and betrayl surrounding Gangnam during the 1970’s when Seoul was going through development is the final piece of director Yoo Ha’s street trilogy, starring Lee Min Ho, Kim Rae Won, Jung Jin Young, Seolhyun, Yoo Seung Mok, Kim Ji Soo and more. 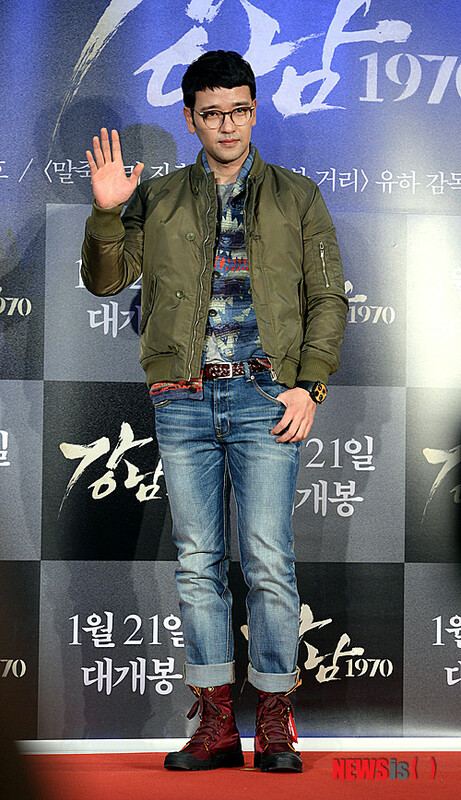 The film premieres on January 21. “The long awaited first film “Gangnam 1970”. 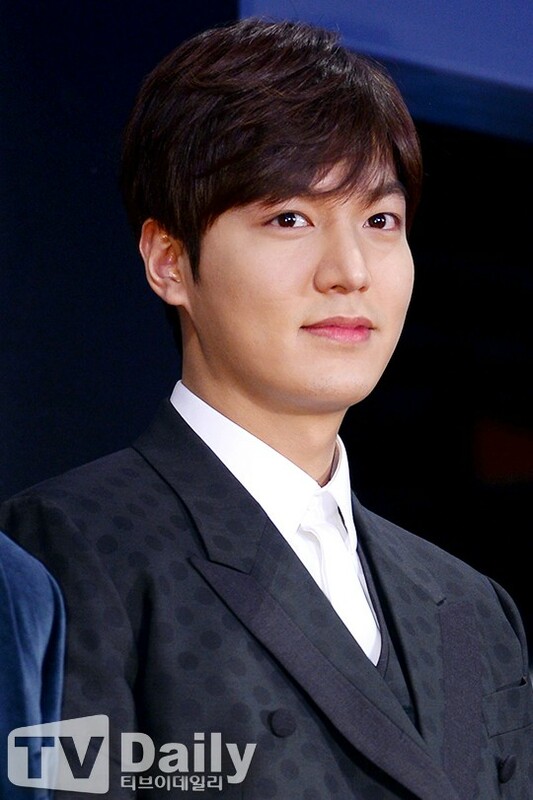 Actor Lee Min-ho‘s first screen appearance, ‘Gangnam Blues‘ ranked top in ticket sales and proved the high expectation from moviegoers about the film. 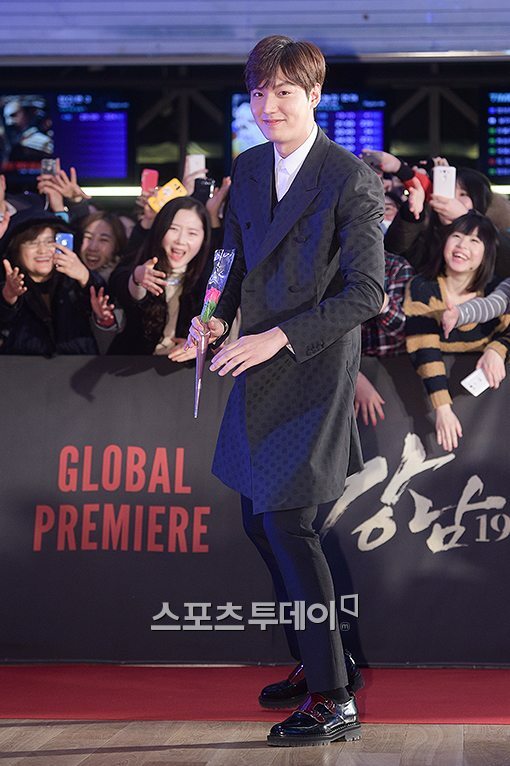 According to the integrated electronic system for movie tickets on January 19th, the ticket pre-sale rate of ‘Gangnam Blues‘ in the morning ranked top with its figure 21.9%. 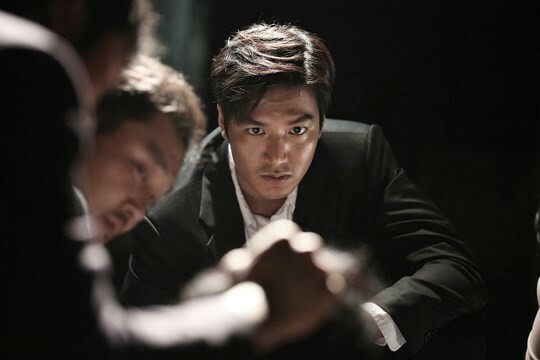 ‘Gangnam Blues‘ is the last sequel of the trilogy by director Yoo Haincluding ‘A Dirty Carnival‘ and ‘Once Upon A Time In Highschool‘, which depicts the desire, friendship and betrayal during the development of the Gangnam district in Seoul beginning in the 1970’s. 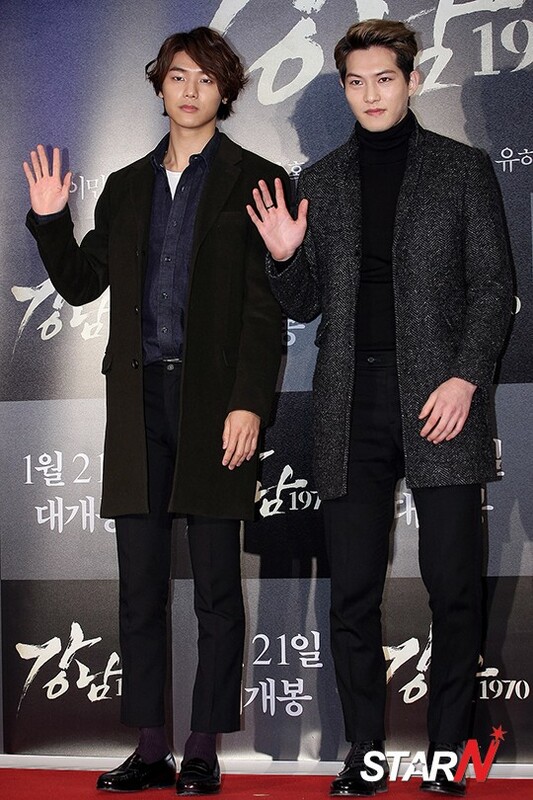 The film has been drawing much attention with the expectation on the intense violent action scenes by the two actors, Kim Rae-won and Lee Min-ho. 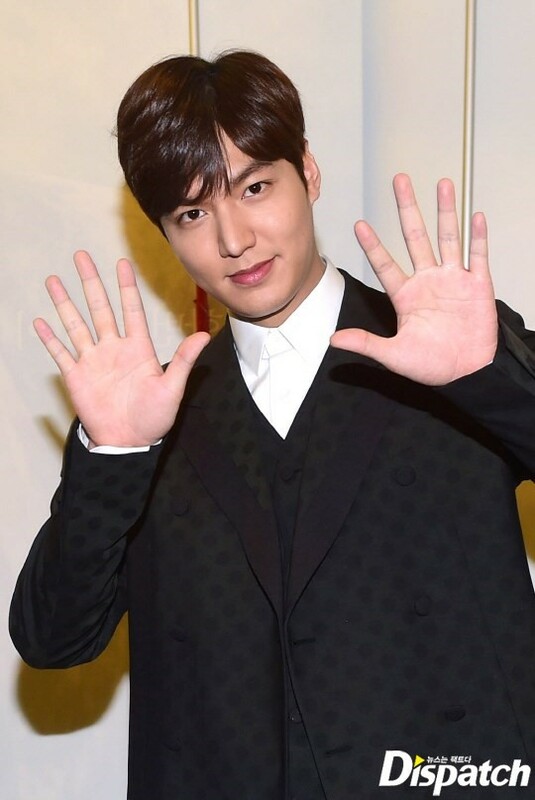 Korean actor Lee Min-ho is known for playing the role of a wealthy, love-struck heir in popular domestic dramas. It is this image, not the dark brooding one he is soon to unveil, that the star projects on the cover of The Star’s February issue. In an interview with the self-titled “No. 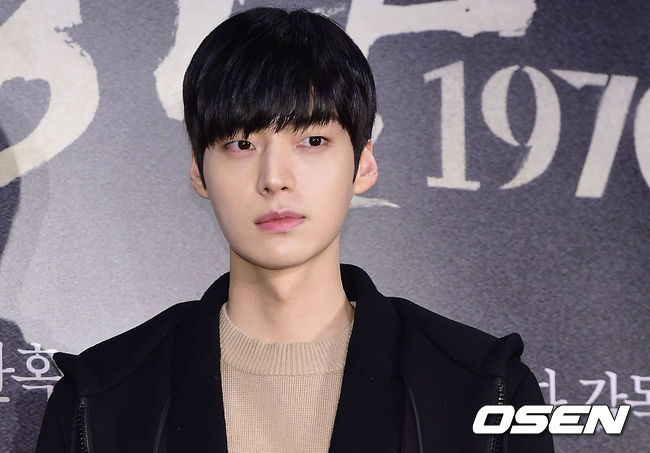 1 Star & Style” fashion magazine, the 27-year-old heartthrob talked about his role transformation in the upcoming film “Gangnam 1970,” directed by Yoo Ha. Lee stars as a petty gangster in the noir crime film, in a much-anticipated unfettering of typecast chains. His gritty portrayal of an opportunistic hoodlum is set in Seoul in the 1970s, during the development of the now-affluent Gangnam district. 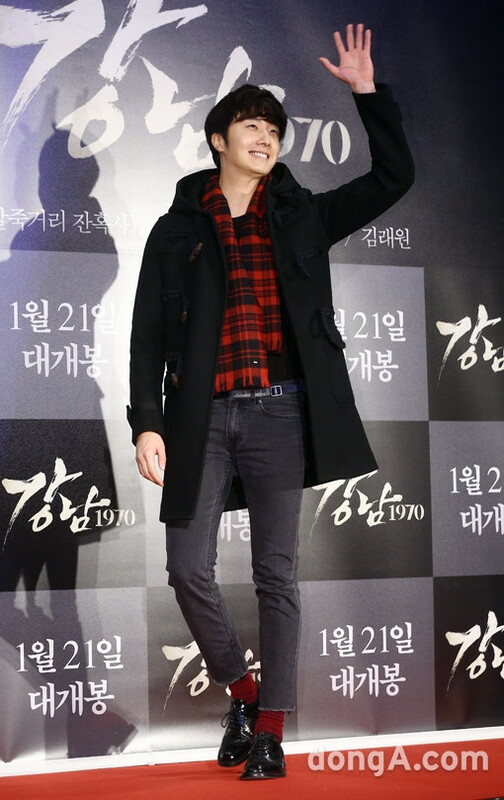 “I want moviegoers to feel like coming out to the cinema wasn’t a waste of time,” the heartthrob actor confessed. 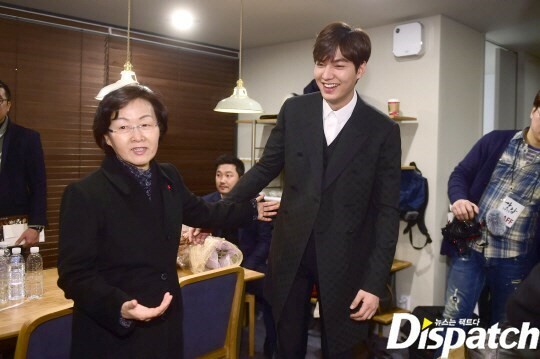 Yet on set, the actor was less introspective as he charmed staff with his smile and sensitive personality. Lee, who won acclaim in romantic dramas like “Boys Over Flowers” and “The Heirs,” is set to make female viewers swoon once more with his steady gaze and all-white outfit in the next issue of the Korean fashion magazine. On the topic of girls, the actor revealed that he was attracted to women he could “converse well with.” That doesn’t necessarily mean she has to be perfect. “Everyone has their own merits. I think girls who know their strong points and have self-esteem are attractive. I find unexpected weaknesses charming,” the star said. 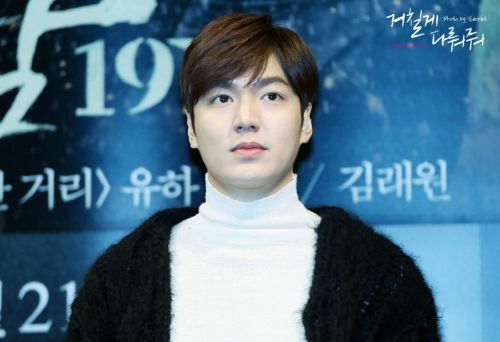 “Gangnam 1970,” starring Lee Min-ho and Kim Rae-won, will open nationwide on Wednesday. The February issue of The Star will hit shelves this Friday. This is your first feature film and you were called as the main cast. As this is director YOO Ha’s 3rd installment of the street series, there are a lot of fans in anticipation. How do you feel? 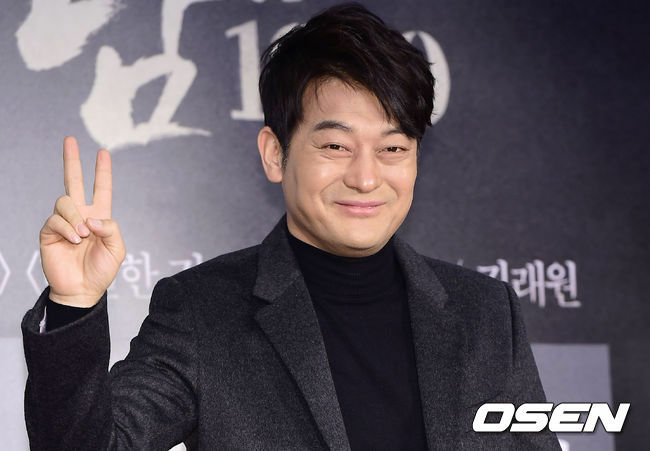 After I’ve read some press coverage on Gangnam Blues and finding out that most of them talked about the film in positive light, I felt a bit more secure. 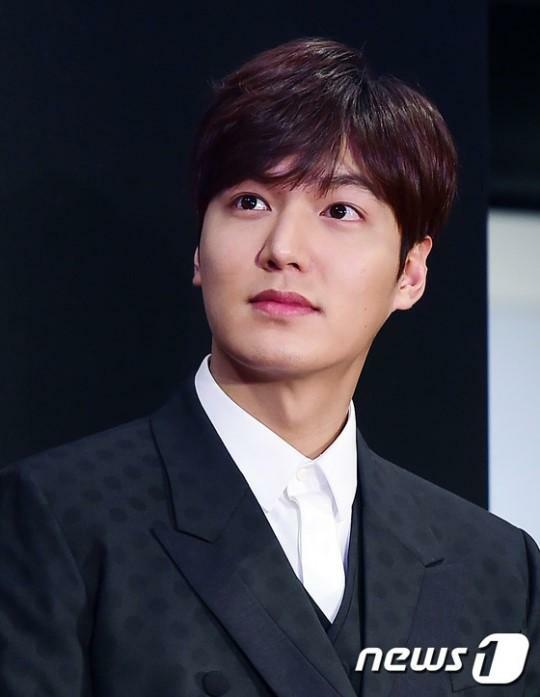 When someone says LEE Min-ho, we think of your TV drama characters GU Joon-pyo in Boys over Flowers (2009) and KIM Tan inThe Heirs (2013). 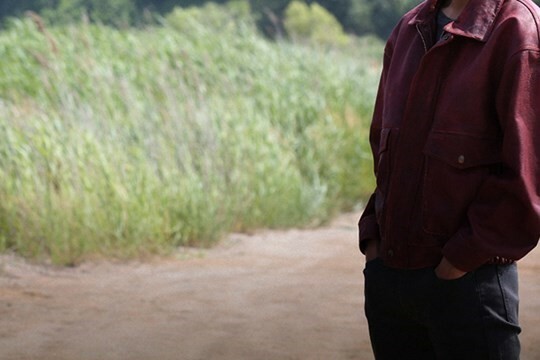 To become a gang member in Gangnam Blues, what kind of changes to your image did you have to work on? 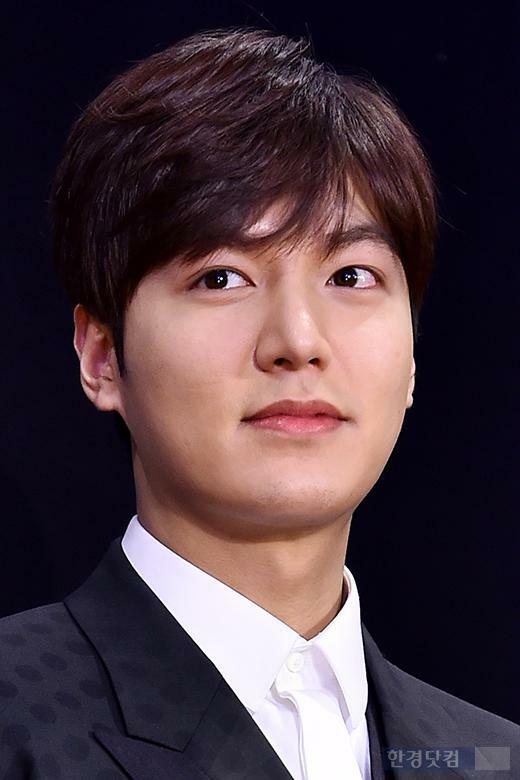 Choosing Gangnam Blues wasn’t a choice I made to change into a manly character or to escape from the idol image I had through previous works. I had always thought I would like to work on a film once I’ve become mature enough. 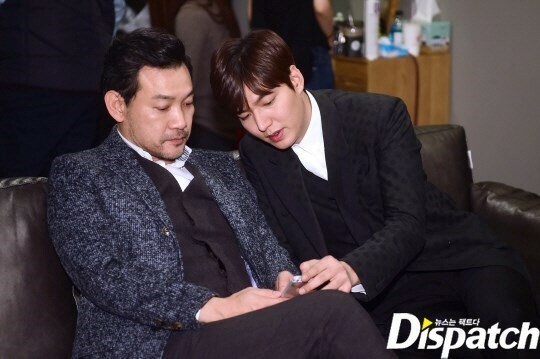 That was when I received the screenplay from director YOO. He waited for me for a year while I finished up taping for The Heirs and I’m thankful that I was able to do my first film with him. You’re a leader of the Hallyu trend. You must have wanted to do your best as it’s your first film in a lead role. I always clear my schedule a month before any new project. In that time, I refresh myself, both body and soul before starting something new. 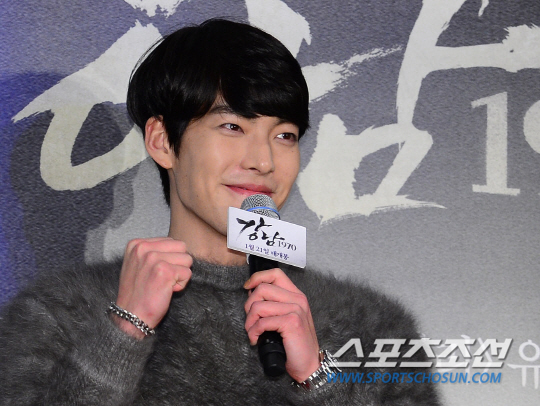 But afterThe Heirs, I had a lot of schedules in China and felt like I didn’t have enough time to get myself prepared. But once we started shooting, YOO trusted my performance and it worked out. 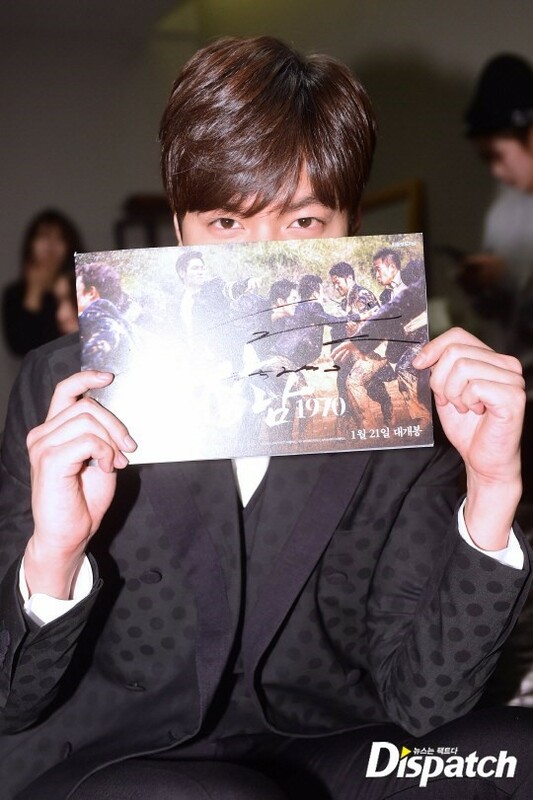 What kind of character do you play in Gangnam Blues? My character Jong-dae is not a super ambitious character. He wanted a normal life with a family and a house. So while under the skins of Jong-dae, I tried to portray a person who is running towards the better life and trying to run away from the bad times. I wanted to show that he wanted to escape from the present. I personally had some tough years of my own, and I wanted to express it through Jong-dae’s life. Jong-dae’s piercing stare reminds me of the character you played inPublic Enemy Returns (2008). 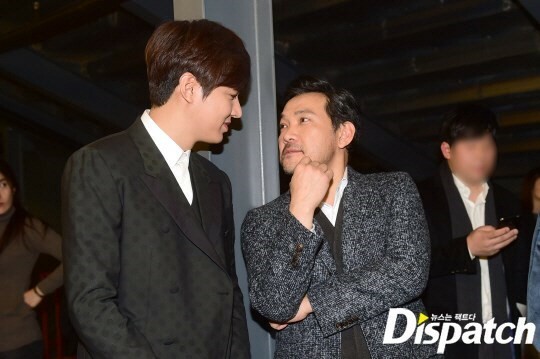 Director YOO also told me that he liked my eyes in Public Enemy Returns. During that time, the hungry eyes were very real. But maybe life has become better for me. YOO told me my stare has changed, and I put in a lot of effort to bring back that raw look. 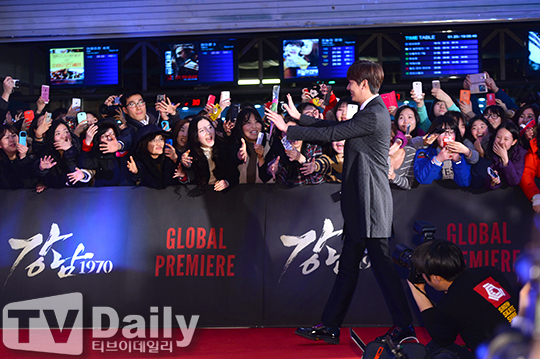 Due to your popularity in Asia, Gangnam Blues was presold to many countries. The reason why I have to work so hard is because I need to be responsible. Many fans in Korea and China are waiting for my next work. If I want to be proud in front of my fans, I feel like I should keep on working hard. With Boys over Flowers, I’ve earned a lot of fandom especially from China. There will come a time when I will look back at the past and say, “those were my golden years.” I want to make sure that I won’t regret anything when that day comes. What changed the most after starring in a film? I was able to act as much as I want, and I feel like I’ve really become an actor. There was a team dinner after finishing Public Enemy Returns. At the gathering, I was amazed by the minds of film professionals and admired them. Through Gangnam Blues, I had the same experience. When the staff members relate to what I felt as a character, we became one through the film. That experience was priceless. 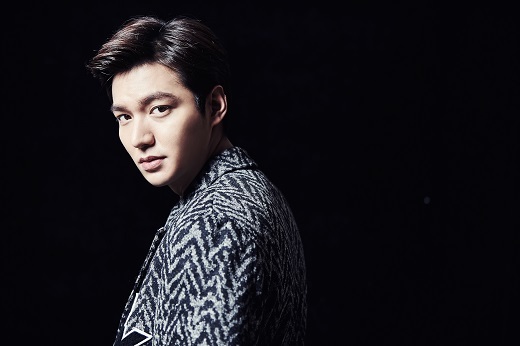 Lee Min Ho will be holding a special film screening event for his fans. 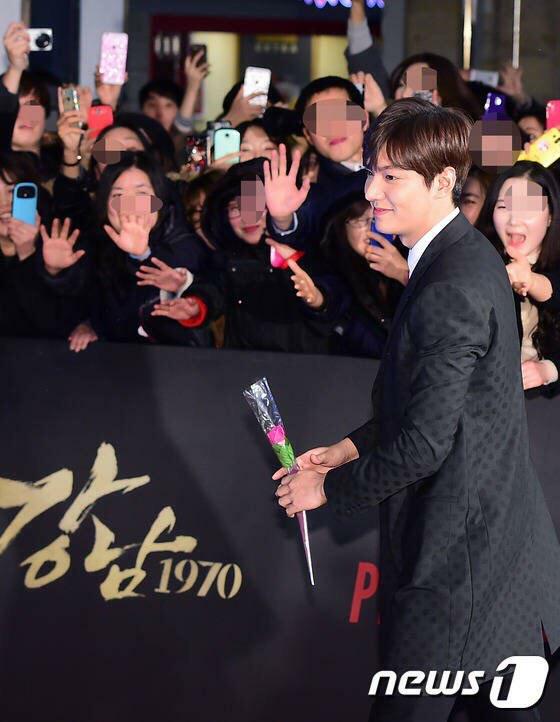 With his film Gangnam 1970 about to premiere in Korea, Lee Min Ho prepared a big event for his fans. 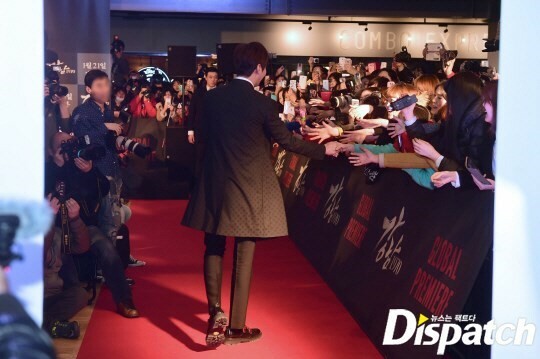 On January 24 and 25, Lee Min Ho will be launching Minoz Film Screening Event at the CGV theater in Apgujeong in order to return thanks to the fans who have been waiting for Gangnam 1970. 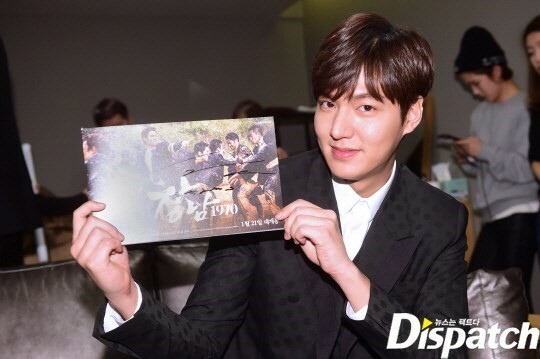 Minoz Film Screening Event will be inviting 1970 fans out of those who apply through Lee Min Ho’s official fan club site (www.minoz.com). Free movie tickets, popcorn and drinks will be provided for all the fans attending the film screening and specially prepared gift bags will also be given out. 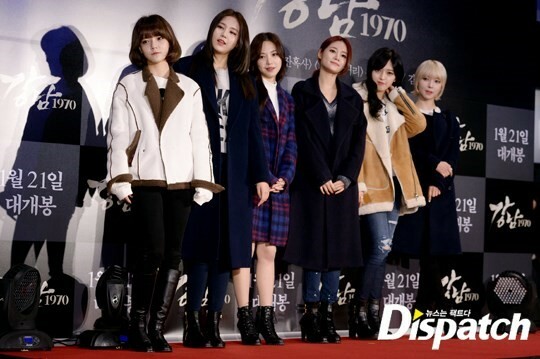 The special film screening, carried out under the title of Back-To 1970, will be hosting various events reenacting the 70’s, which is the time period the movie is based on. 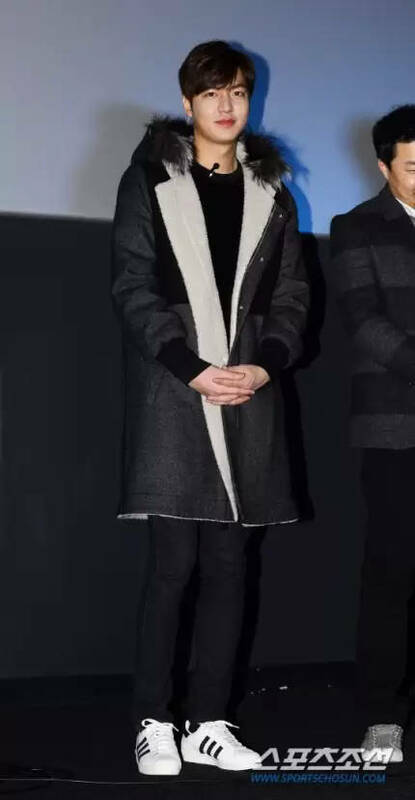 In addition, all proceeds gathered from Lee Min Ho’s charity platform PMZ booth set up in the theatre will be donated to Holt Children’s Welfare Organization. 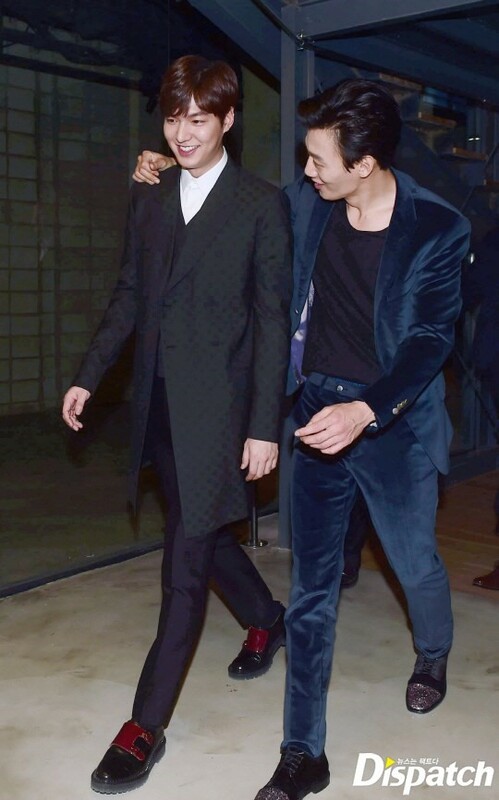 Meanwhile, Gangnam 1970 will depict the desire, friendship and betrayl of two men named Jong Dae (Lee Min Ho) and Yong Gi (Kim Rae Won) surrounding the Gangnam district during 1970’s when Seoul was undergoing rapid development. It is the final piece of director Yoo Ha’s street trilogy, following Once Upon A High School and Dirty Carnival.